Making Your Difference … WHY? Social connection is one of our most important human needs. Making a difference is a form of contribution … ie, ‘doing something to cause something to happen.’ Contribution is actually a way to increasing our social connection. 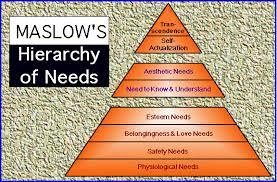 In addition, in the modified Maslow’s Hierarchy of Needs, the top new tip of the pyramid is the need for Self-Transcendance, ‘to connect to something beyond the ego or to help others find self-fulfillment and realize their potential’. Self-Transcendance is a type of contribution – ie, making a difference which is beyond ourselves and that helps others. Hmmmmm … why else? You are the only you that can make your unique difference. It feels great to make a positive difference. It creates a win-win scenario, positive for everybody involved. It feels right. It feels right to make a positive difference! That’s plenty of reason to pay attention and consciously discover your difference, make an impact, and change your world.